Dan is Senior Director of Sales Optimization for Tekni-Plex Corporation’s medical component businesses. Previously he was the founder and president of Lazas Marketing Group, a leading provider of marketing and sales solutions for polymer technology companies serving medical device markets. 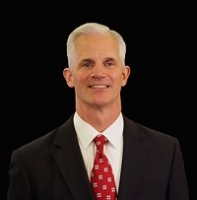 Dan has also served as Executive Vice President of PolyMedex Discovery Group, a polymer and component supplier for minimally invasive devices; General Manager of Greene, Tweed & Company’s Medical Division, a manufacturer of composite orthopedic trauma instruments; and General Manager of Victrex USA, supplier of PEEK polymers. Dan has a mechanical engineering degree from West Virginia University and an MBA from University of North Carolina at Charlotte. He has 30 years of technical, sales, marketing and executive leadership experience in the polymer industry serving global healthcare and other high performance markets.